Last Wednesday Mark and I drove up the northern California coastline for a 24-hour vacation in Crescent City. 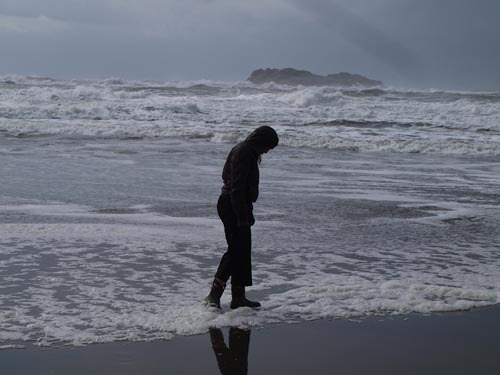 We had planned the trip several days in advance, and our hotel was non-refundable, so despite the forecasted twenty foot swells, gale force winds and hailstorms, we decided to go anyway. Once there, we struggled to hold onto the car doors as we stepped onto the parking lot. Our heads hung forward to prevent getting hit in the eye by sharp hail and rain that seemed to be moving through the air sideways. As we checked into our room the lights flickered, and outside the kayaks were shaking on the car roof. 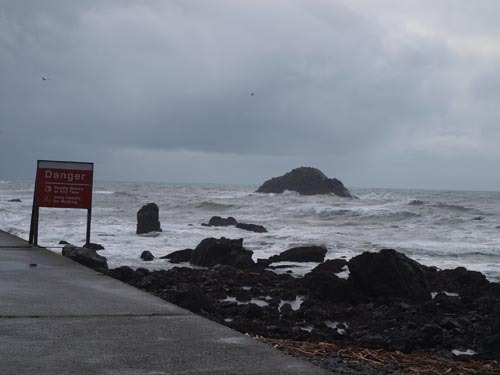 A jetty in Crescent City. The following morning we woke to our first views of the raging ocean. Somewhat procrastinating on putting on our drysuits, we decided to go for a stroll, and battled the wind and hail as we made our way to a tasty breakfast spot on the pier. 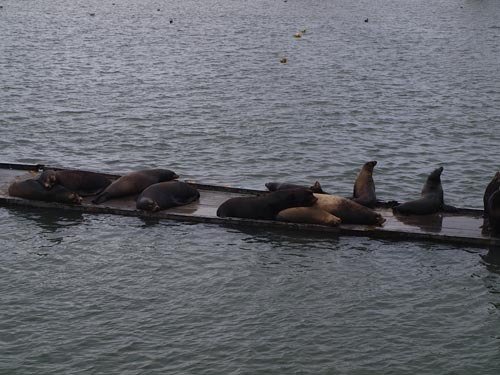 Sitting at the window we watched the sea lions lounging outside, as they too seemed to be avoiding the stormy ocean. With full bellies we visited the Northcoast Marine Mammal Center, saying hello to a seal, and then headed up the hill to Battery Point Lighthouse, which was closed for the season, but the views of the ocean from this high vantage point were amazing. At this point we were getting somewhat lazy, and slowly made our way back down the hill to the Chamber of Commerce and visitor center. Some days the ocean really does want to be left alone, and we decided that this was one of those days. 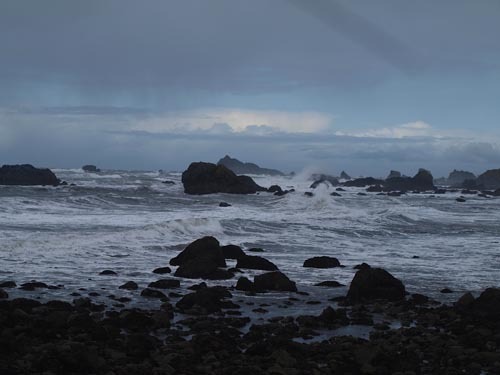 Seeing the ocean in her majestic nature from the rocks above was well worth the drive, and we decided to head home slowly, stopping at every vantage point we could to watch the incredible force of ocean swell colliding with rocks, beaches and blowholes. Just north of where we live, we stopped at our local playground, Trinidad, and waded around in the sea foam in rubber boots and rainjackets, making sea foam balls and throwing them at each other as if they were snow. 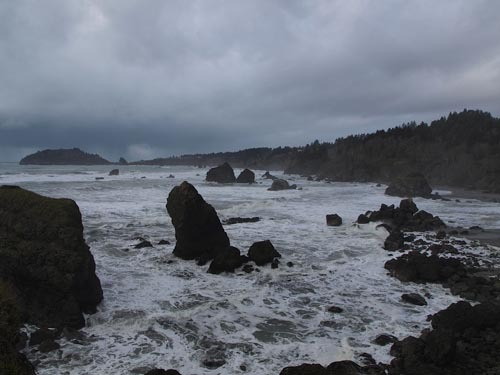 A view of Trinidad Head from the Luffenholtz overlook. 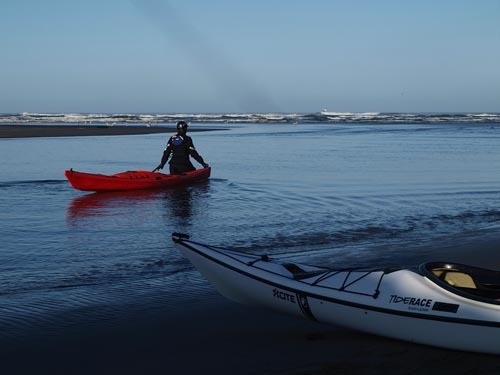 A couple of days later, we did make it out for some fun in the surf at Moonstone Beach. 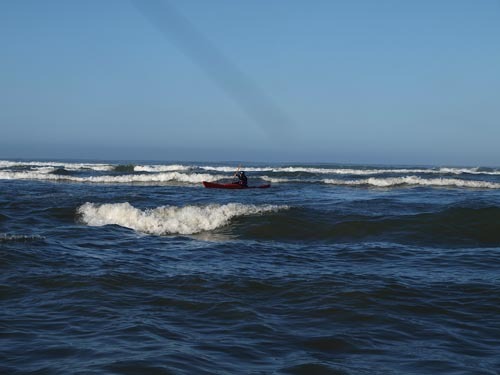 And even though the waves were white and foamy, instead of green and long, the sun was shining, and it actually was a really fun day on the water… but then again… when is a day on the water not fun? Little River at Moonstone Beach. That surf at Moonstone looks just my speed.